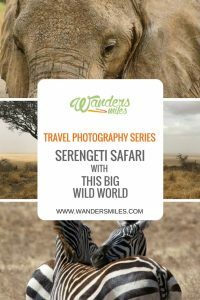 Wanders Miles Travel Photography Series welcomes This Big Wild World! Her blog is all about inspiring the outdoor adventurer inside each of us. 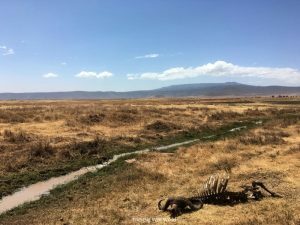 Here, she shares her thoughts on how to photograph a safari experience and why she loves her Olympus mirrorless camera. A safari is one of those adventures that people dream of their entire lives. I know I did. As a child, I would watch the giraffes and elephants curiously at the zoo, imagining them in the wild. I thought about whether the grassy plain of the Serengeti really went on for miles. And I wondered what it felt like to be out there, on their turf for a change. 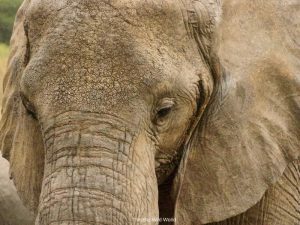 Awe-inspiring and humbling are the words I would use to describe my safari experience. While I always encourage adventurers to be present in the moment, I do love the challenge of capturing these moments as a photographer. But, doing so on a safari is a challenge for even the most advanced photographer. You are juggling between intimate macro shots of the wildlife and dramatic wide angles of the landscape. Your vehicle is constantly moving and the roads are bumpy, kicking up dust into every crevice of your gear. In short, photographing a safari requires a preparation. 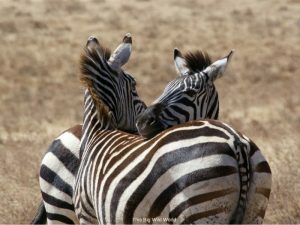 Here are my tips for capturing the wonder of a safari. 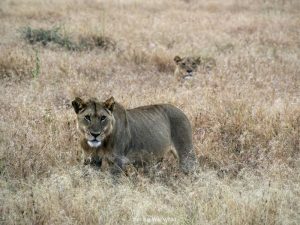 I was fortunate enough to see more than 25 lions and all of the Big 5 in my five-day safari. Honestly, I was running out of ways to photograph a lion. It’s a good problem to have! Challenge yourself to find a unique perspective or angle. Grab a photo of the backside of an animal, their paws, or them interacting with each other. Take the opportunity to get creative and think ahead on what sort of shots you’d like to shoot! BONUS: Let your guide know what you want to see! They are certified and trained in spotting wildlife (and vehicle maintenance among other things). To get certified they spend months living out in the National Parks and are a wealth of knowledge. 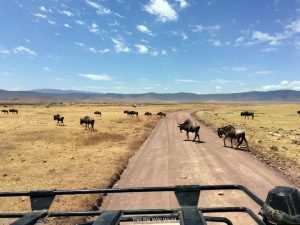 When riding through the Serengeti, I was amazed at how large it was and how small I felt. It turns out that the grassy plains really did go on as far as the eye could see. It can be easy to get caught up in capturing the animals, but be sure to also show how vast this place is to put the environment into context. Being on a safari is a holistic experience of wildlife, landscape, adventure and culture. Think about how you can bring your images together to tell your safari story. Because the grass of the plains goes on forever, your eyes can start to glaze over. 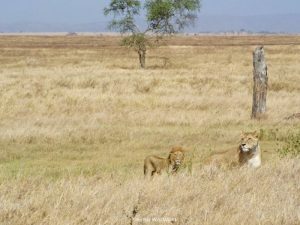 When we first started riding through the Serengeti, I thought for sure that there weren’t any animals out there. But then my eyes adjusted and I started to see movement. Look for these unique points of contrast. This could be an antelope standing in a small patch of green grass, a lion’s dark mane sitting low in the plain, or a green tree in a field of brown grass. A safari demands a photographer to be nimble with their gear if they truly want to capture the experience. You don’t want to be fumbling with your shutter speed when you have your first wildlife encounter. If you plan to get a new camera before your safari, buy it 8-12 weeks in advance and go outside and practice at least once per week. Get familiar with popular adjustments like white balance, shutter speed, and f-stop. Pull out your manual and walk through these adjustments. Also, practice changing the lens a few times. Remember the saying about not to wearing hiking boots for the first time on a long hike? The same goes for cameras! After years of lugging a DSLR and lenses around, I transitioned to my first mirrorless before my safari. After much research, I was torn between the Sony a6000 and the Olympus OMD EM-10 mark ii. Both are great choices, but I liked the built-in image stabilization, the touchscreen, and the lens options available for the cost with the Olympus. The touchscreen is so handy because you can just tap the screen where you want to focus and it’ll take the shot. 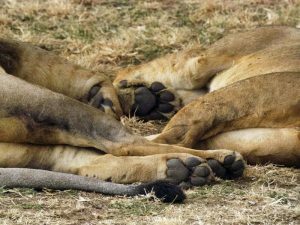 Most safari vehicles have plugs inside and a generator so you can top off your batteries, but don’t plan for this to give you a full charge on all of your devices every day. Also, your lodging may or may not have access to power so it’s best to be prepared with extra batteries and power packs. I opted to bring one battery for each day for my Olympus and two GoPro batteries. This meant I could always be charging one GoPro battery or my phone. Also, think about how much memory you need bring. I was on a 14-day trip, five of which were on safari, and I used 32GB. Trust me, you don’t want to run out of memory when you’re out there so bring extra! If you’re not going on a safari anytime soon, the Olympus also performed well while hiking the Inca Trail in Peru, the Kalalau Trail in Kauai and exploring the Southwest US by car. So, whatever your adventure, it’s a great camera to have with you. 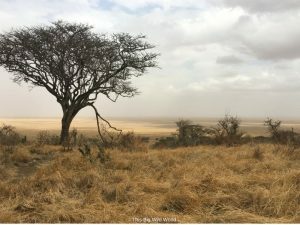 I hope these tips help you create your safari story. Have a great time finding your adventure! Wanna know more about This Big Wild World? Let’s connect! Read more about This Big Wild World in the Wanders Miles World Adventurer Series.